Martin Rothwell, Managing Partner at World First says, "Travel insurance is so simple to arrange and can save you unnecessary misery and expense if your plans or visit don't go quite as you hoped. Having travel insurance gives you peace of mind so you can immerse yourself in the event and local culture, knowing you and your festival kit are protected and any delays or disruption to your travel will be minimised. Single trip policies can cost as little as £25 so it's a very worthwhile investment." With your ticket and travel insurance booked you can get into the party mood, studying the line ups and festival events, anticipating a wonderful holiday. Whether you are heading for a dance extravaganza at Soundwave in Croatia or sunny Spain for Benicassim, travel insurance is a must have. 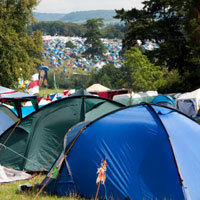 Travel insurance policies can be tailor made if taking in a festival is just part of your holiday. It is worth anticipating anything you 'might have a go at' while you are away and letting your insurer know so they can include in your policy, such as water sports, riding a moped or extreme sports such as bungee jumping or abseiling. Cover may cost only a bit extra but if you don’t include it your policy will be invalid. Before you go, take a couple of copies of your travel insurance, one to take with you and leave one with someone back at home. Put relevant phone numbers and website and email addresses in your phone so you can get in touch quickly with your insurer if you need to. It is also worth checking out Foreign and Commonwealth travel advice for your destination at www.fco.gov.uk/travel.